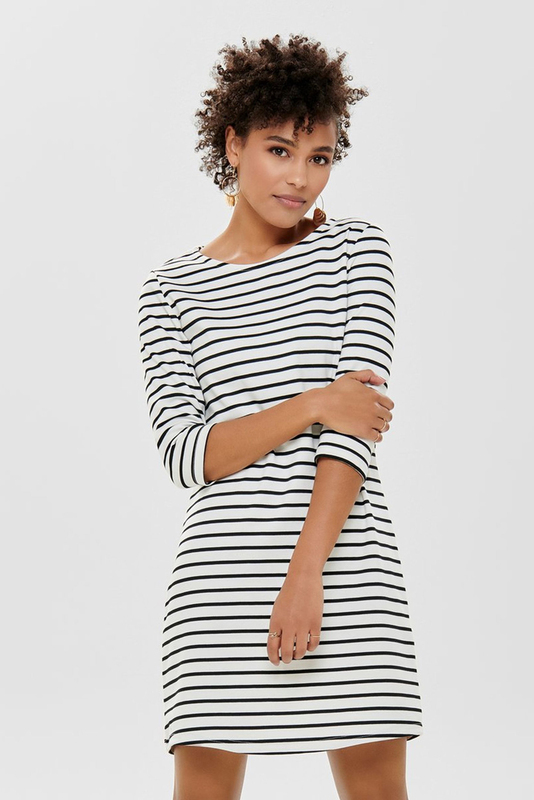 The classic Breton stripe dress. The Brilliant dress by Only is a wardrobe essential, that can be worn at any time of year. An easy shape to wear and being stripes its a classic style. Wear with tights on cooler days then in the summer team with your sandals.